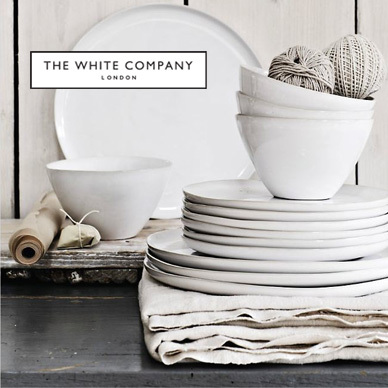 Since 1993, The White Company has specialised in supplying tasteful items of designer quality. They are dedicated to making their customers feel good about themselves and believe everyone should be able to buy stylish, excellent quality items that come with an affordable price tag. That's probably why customers consistently return time and time again to buy their fabulous clothing, candles and items for all around the home, such as kitchenware, table linen, lighting, furniture, bed linen and items for the bathroom. Whether you need something for yourself, your family, your home or a special gift, you're sure to find desirable, quality products at The White Company. Add The White Company to your Favourites list and be the first to know every time they have a Sale on! 1st January 2018 - The White Company New Years Day sales for 2018. 7th May 2018 - The White Company Early May Bank Holiday sales for 2018, add to your diary now! July 2018 - The White Company Summer 2018 sales, joining us? 23rd November 2018 - The White Company Black Friday sales in 2018 start on Friday 24th November. Add products from The White Company to your Love Sales list. Get the Love Sales button now! The White Company Cyber Monday Eventis now on. Shop the white weekend deals and get up to 20% off! The White Company Black Friday Event is now on. Shop the white weekend deals and get up to 20% off! The White Company October 50% off Sale is now on across everyhing! Including clothing, bedroom, fragrance, bathroom and much more! The White Company August 60% off Sale is now on across bedroom, clothing, fragrance and much more!